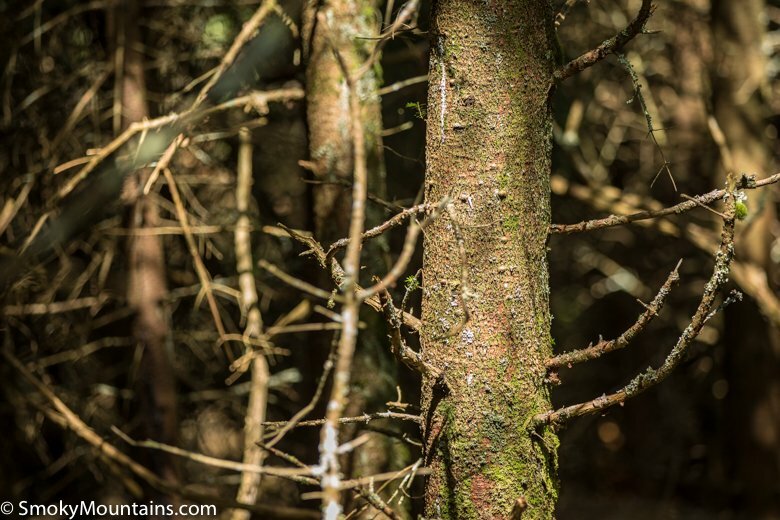 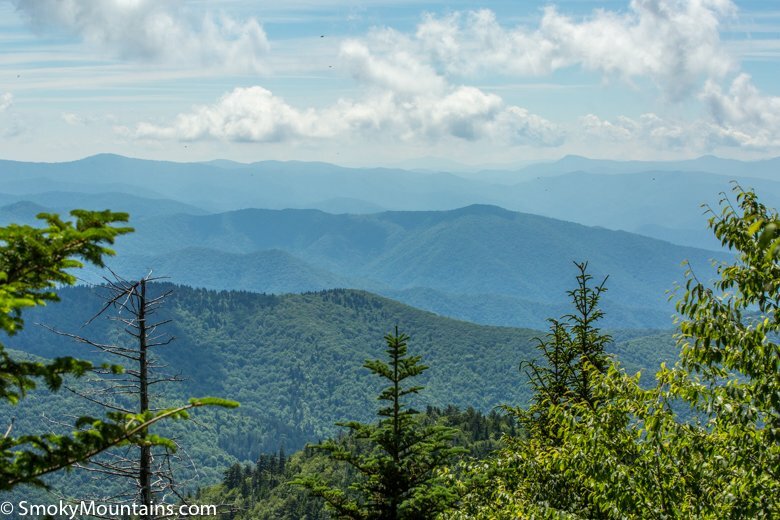 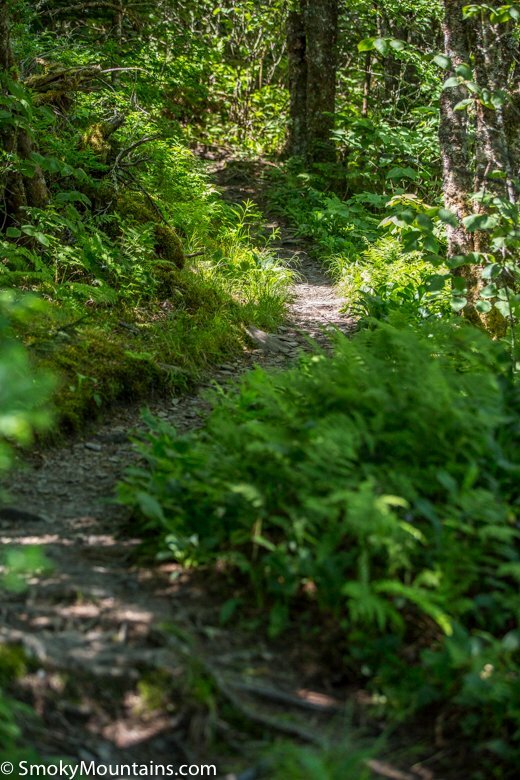 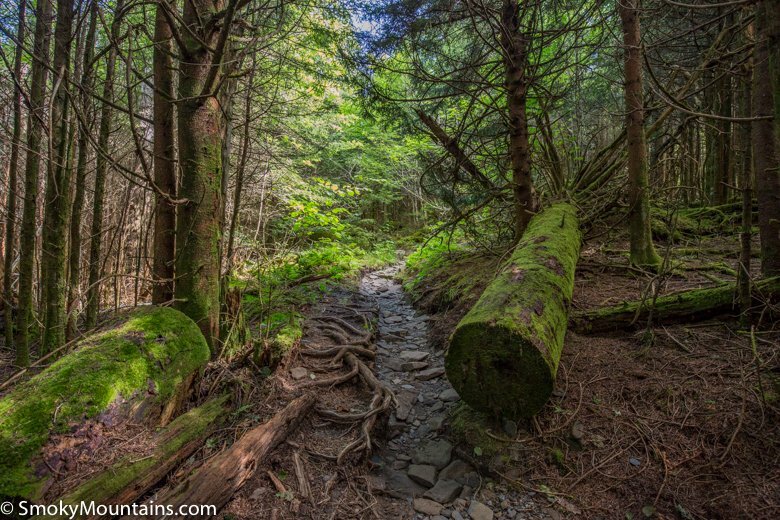 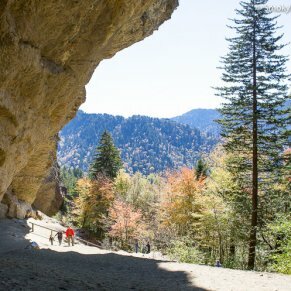 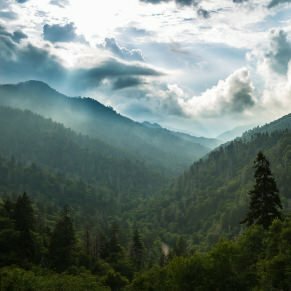 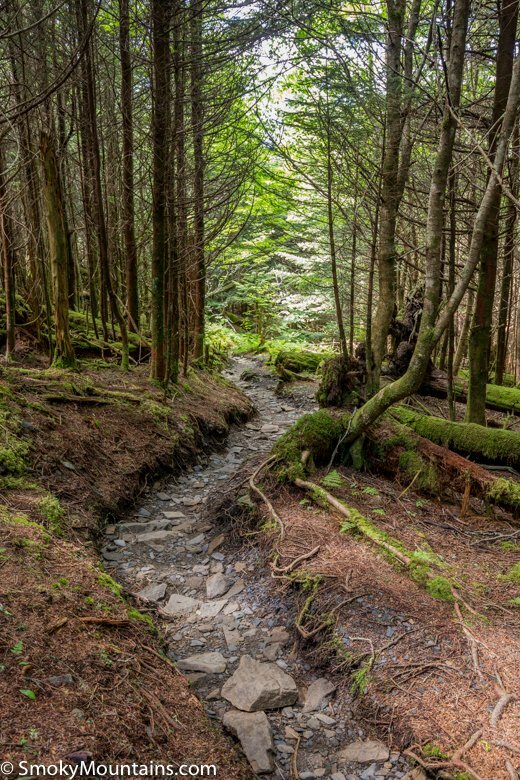 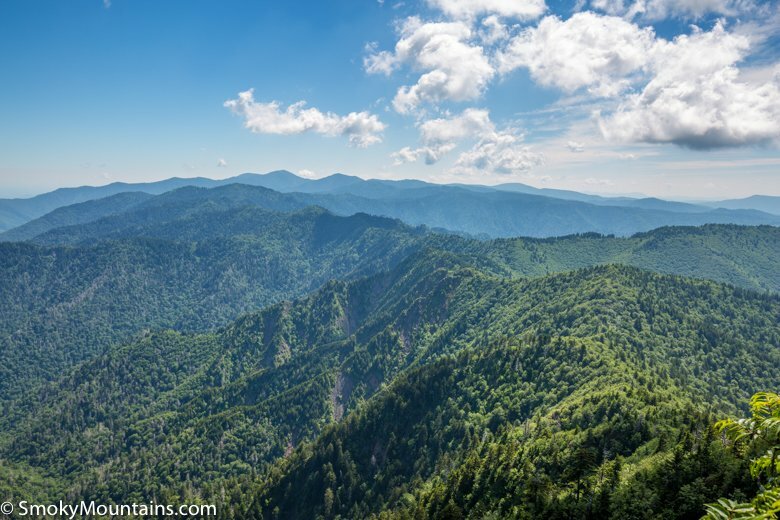 This trail along the “spine” of the Appalachian Mountains at 6,000-ft rewards hikers with sweeping views of Mount LeConte, Charlies Bunion, Mount Guyot, and the Appalachian Trail ridge. 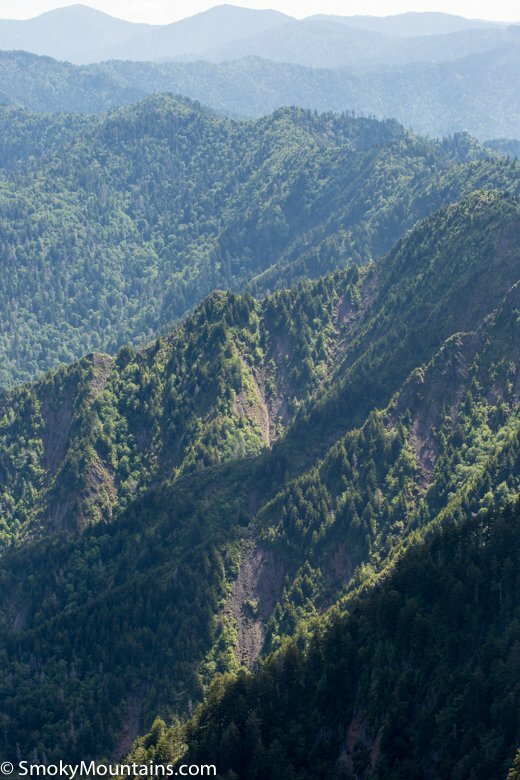 Your final destination, the Jump Off, offers a quiet escape from the crowds at Charlies Bunion and the perfect panoramic picnic spot. 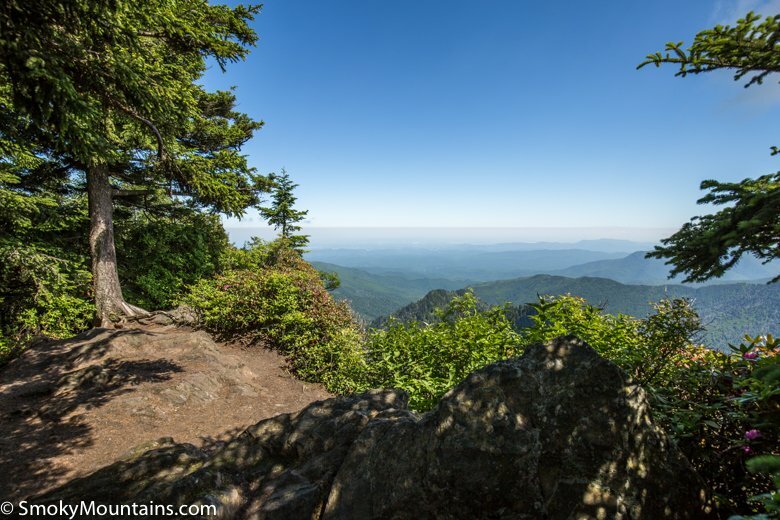 If you have time, the 2.5-mile addition of Charlies Bunion on the return hike is well worth it. 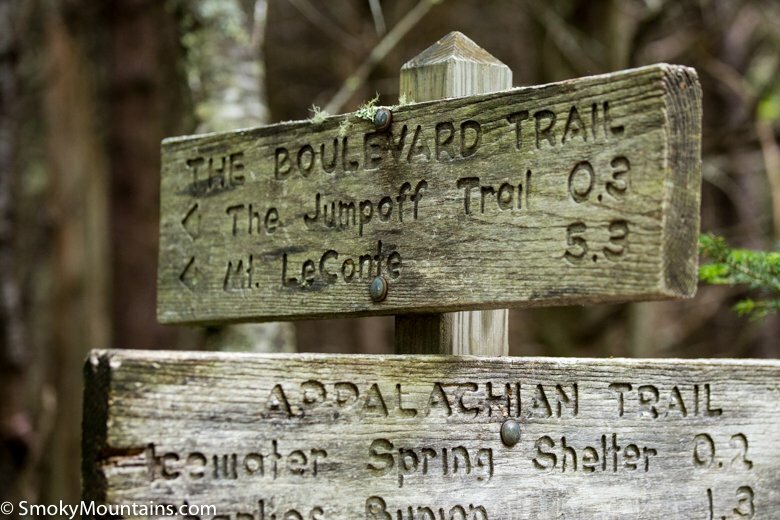 Follow the trailhead from the Newfound Gap parking area eastbound along the Appalachian Trail. 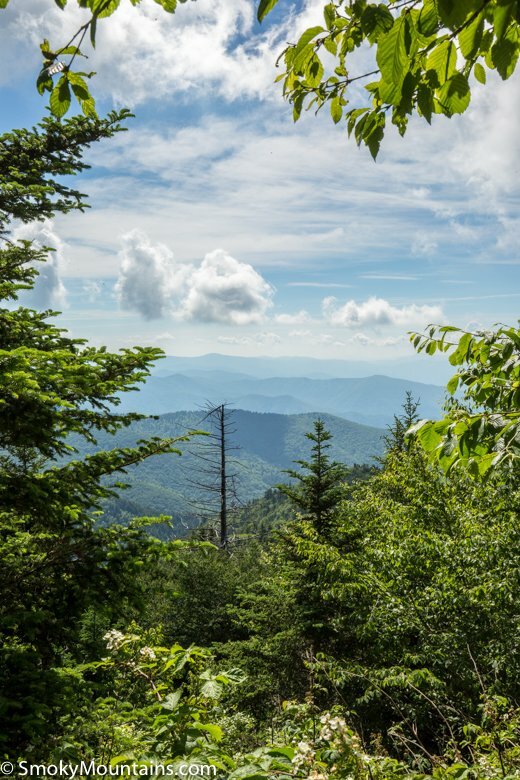 You’ll climb steadily over the trail’s first two miles, quickly leaving behind the crowds at Newfound Gap. 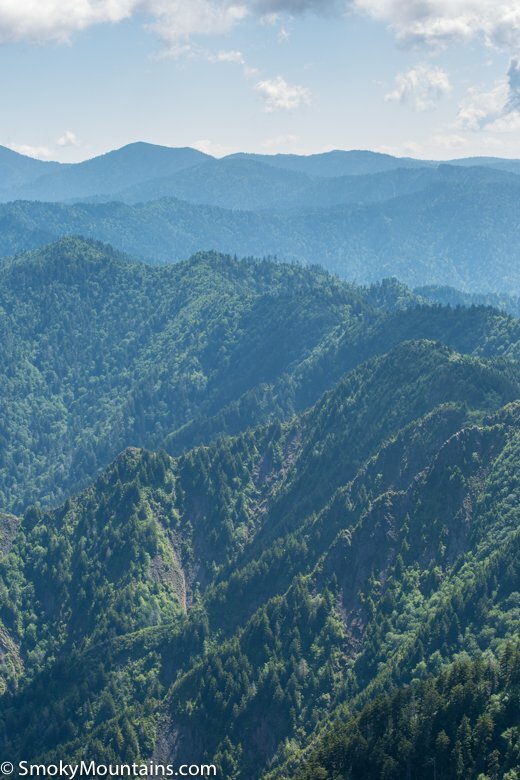 Throughout the climb you’ll be treated to stunning, panoramic views. 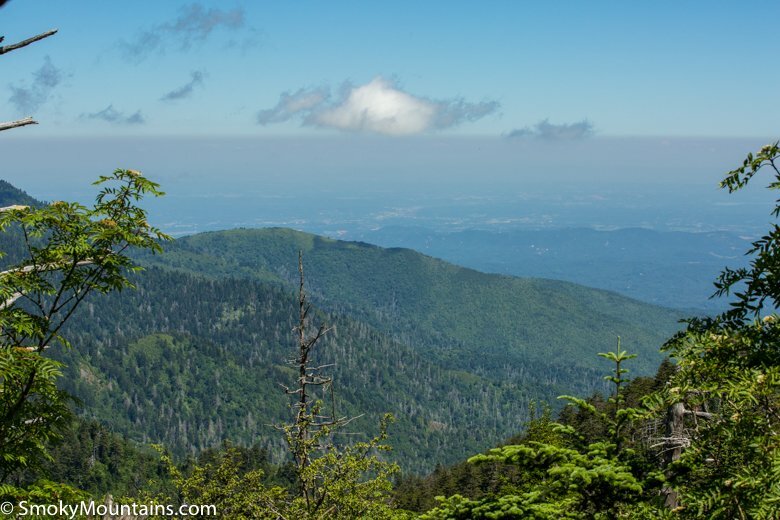 The first view comes two-thirds of a mile into the hike: look south for a view of the North Carolina Smokies. 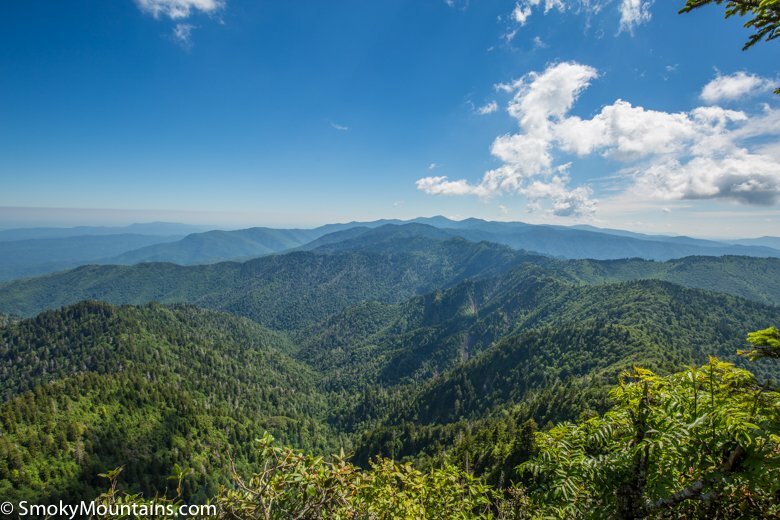 At 1.7 miles from the trailhead, look northwest and pause to take in the outstanding views of Mount Le Conte and Myrtle Point. 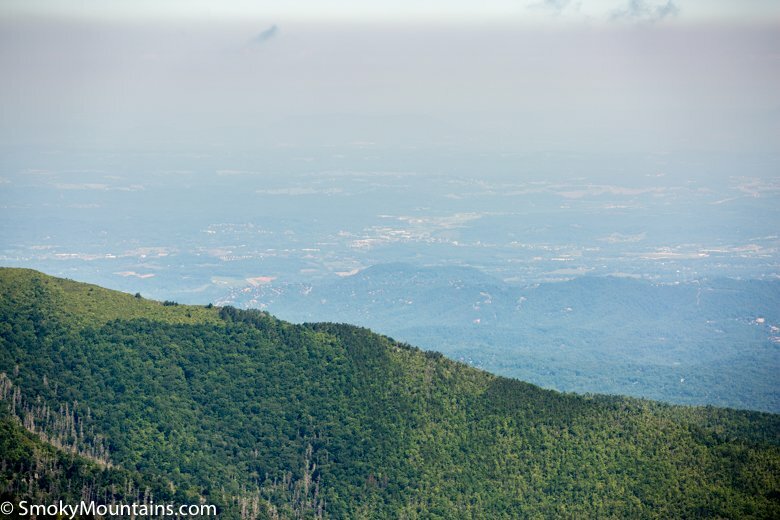 This view is right before the Sweat Heifer Creek Trail junction. 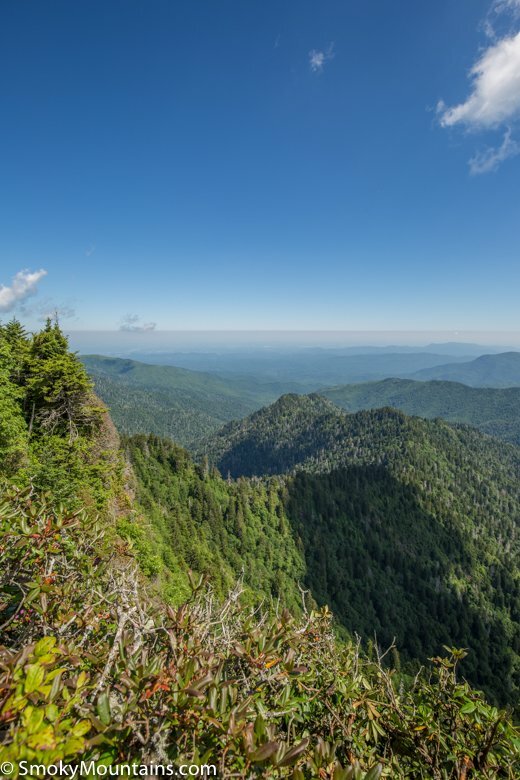 For the next mile, you’ll be hovering around 6,000 feet and passing along a narrow ridge that offers spectacular views on either side of the trail. 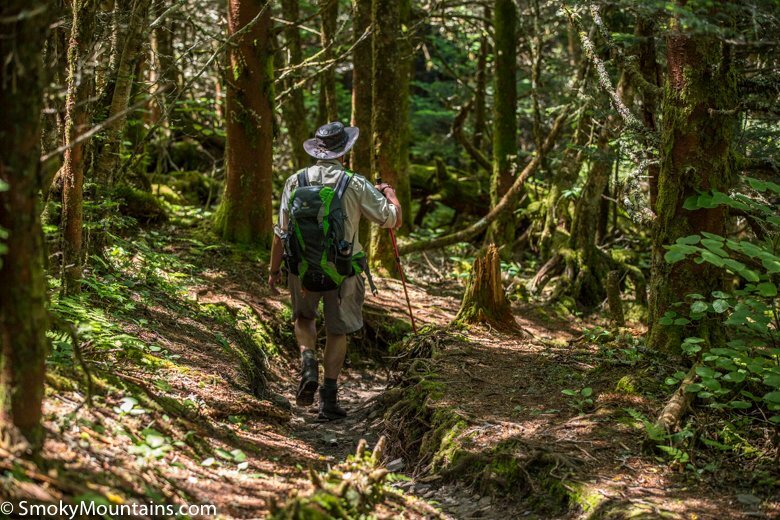 You’ll feel like your walking along the “spine” of the Appalachian Mountains.At 2.7 miles, turn left at the Boulevard Trail junction. 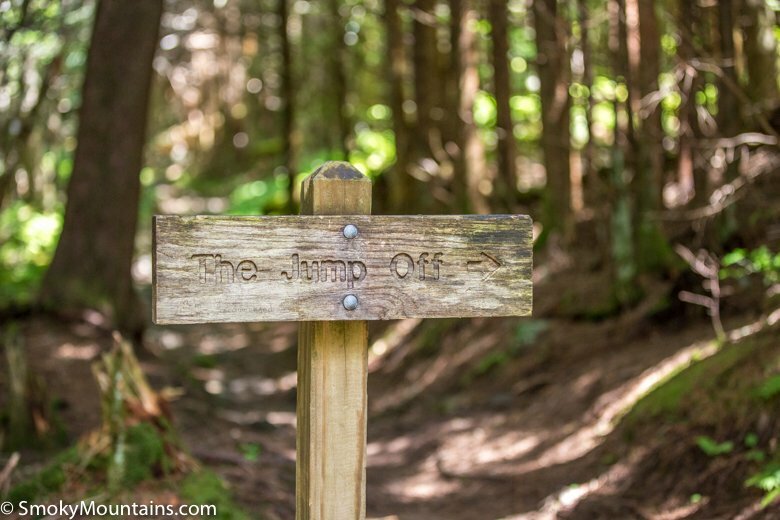 Less than 0.10 miles after turning left look for the Jump Off junction. 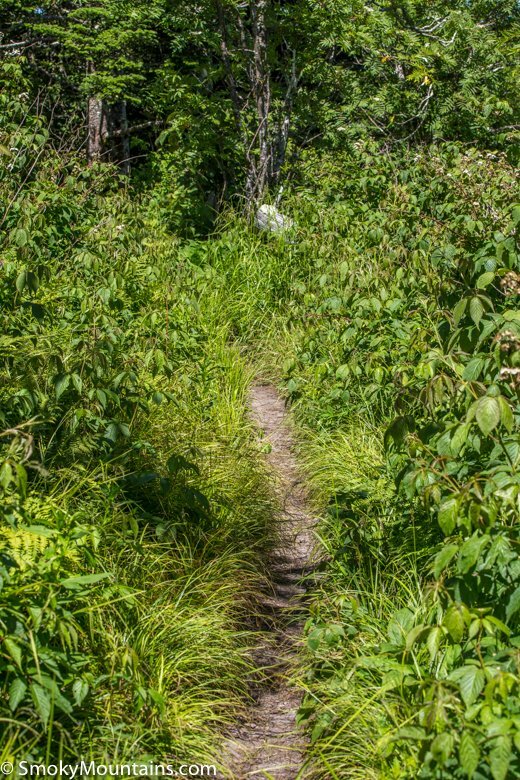 While this trail is not officially a National Park trail, it is still marked with a sign. 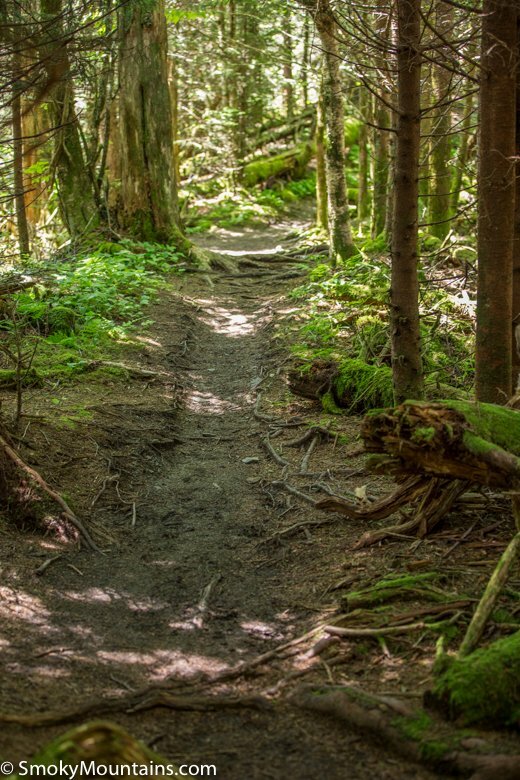 Continue another 0.5 miles along the trail spur to the Jump Off. 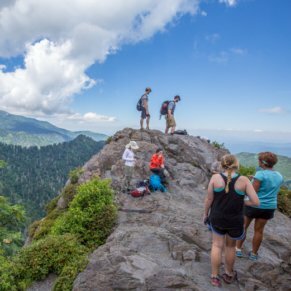 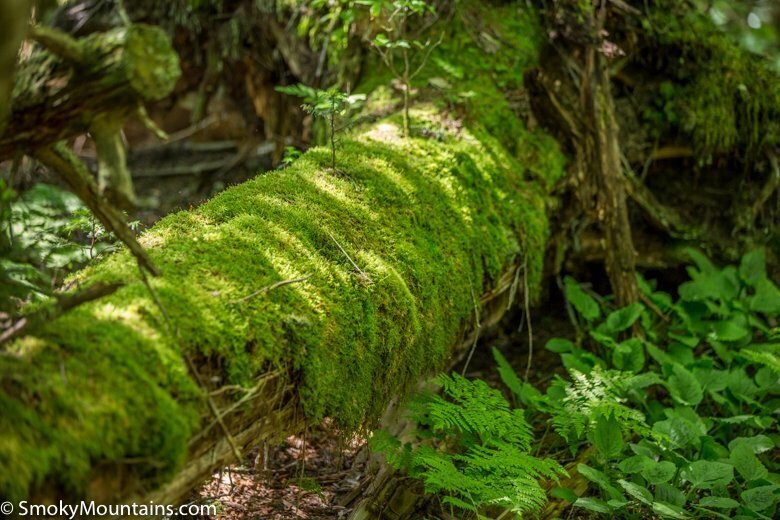 This is the perfect resting point for a quiet picnic lunch or snack as you take in the spectacular views of Charlies Bunion, Mount Guyot and Appalachian Trail rising to your east. 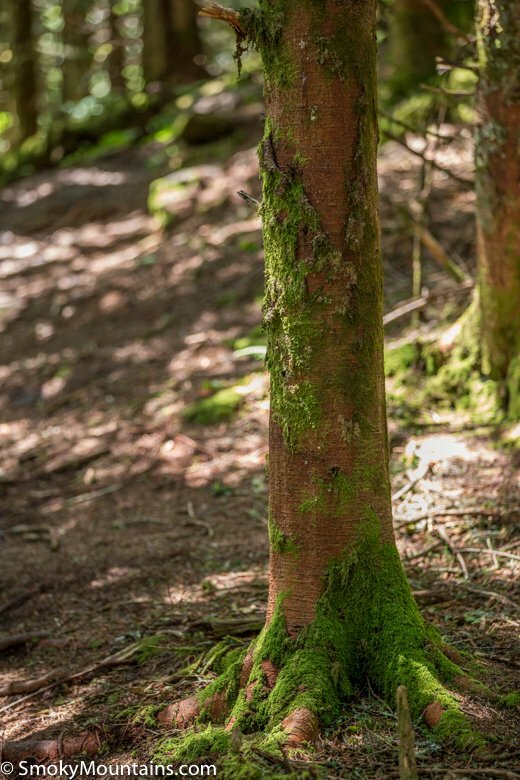 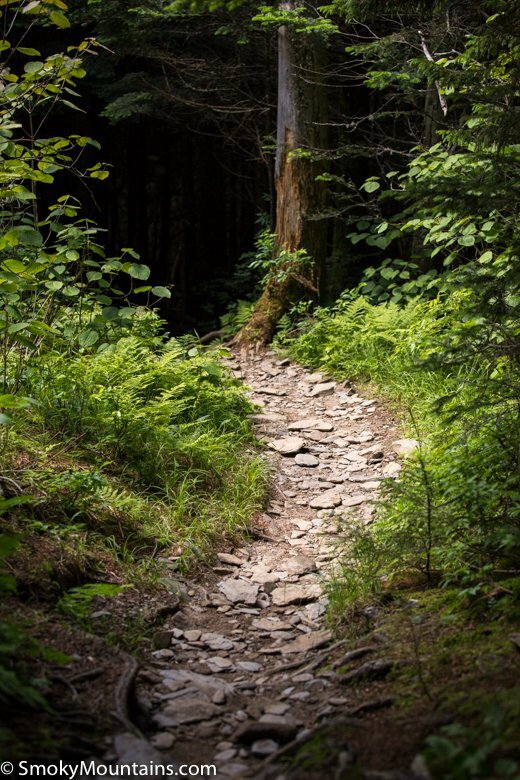 Retrace your path to return to Newfound Gap parking area. 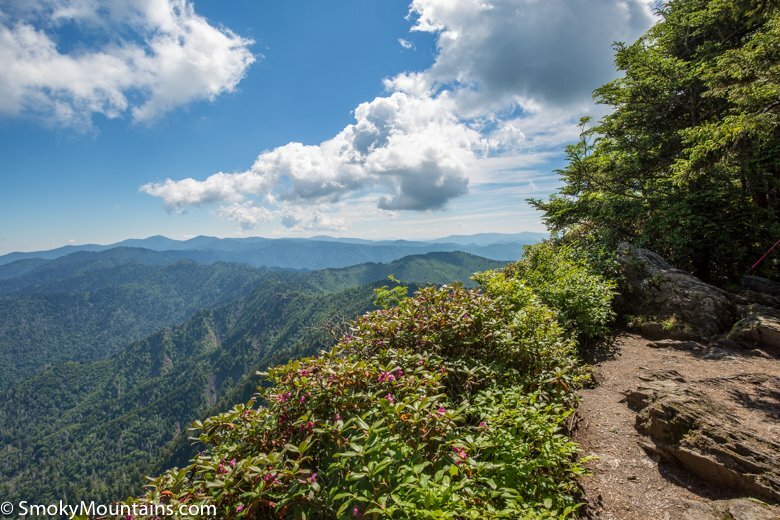 If you have time, turn left on your return hike at the Boulevard Trail/Appalachian Trail junction and hike out to Charlies Bunion, a popular rock outcropping. 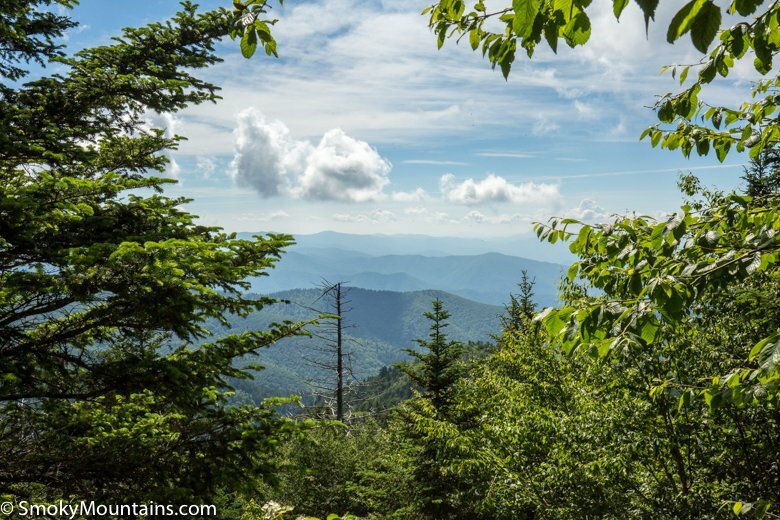 Turning right at the junction will take you back to the Newfound Gap parking area. 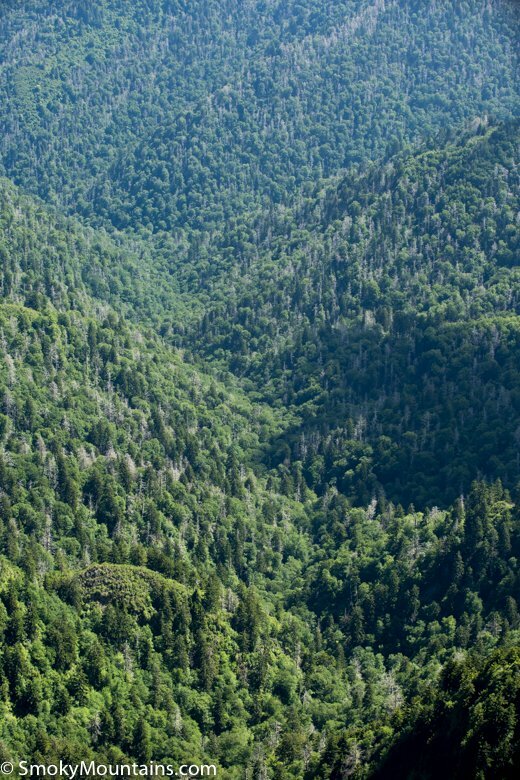 If you choose to add Charlies Bunion on the return, turn left at the junction and proceed straight down the trail. 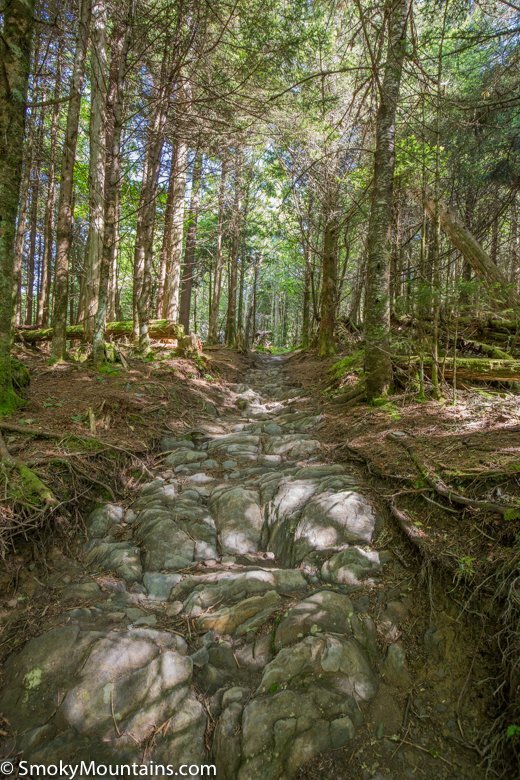 Approximately 0.25 miles after the junction you’ll pass the Icewater Spring shelter, names for a nearby spring that flows from a pipe onto the Appalachian Trail. 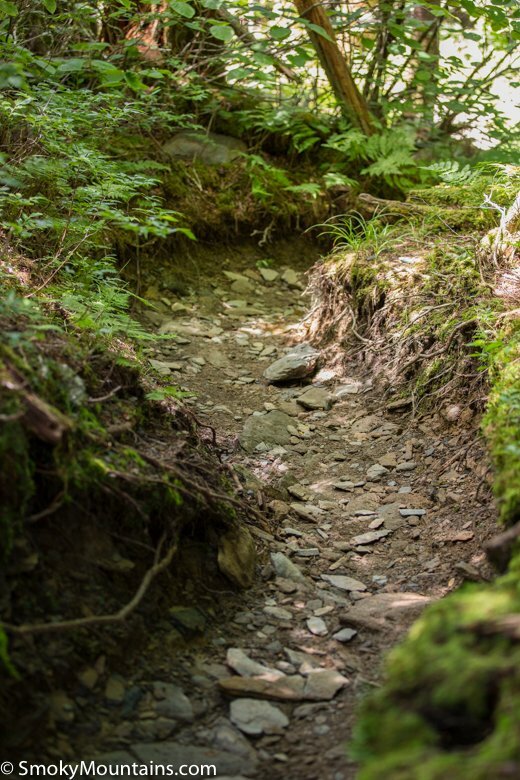 While the water looks tempting on a hot day, you’ll need to treat it before drinking. 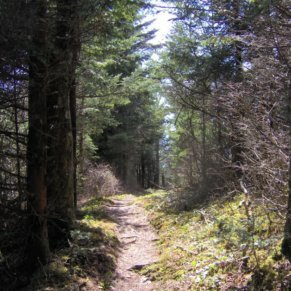 After 1.3 miles of hiking past the junction, look for a short spur that will fork left and take you to Charlies Bunion. 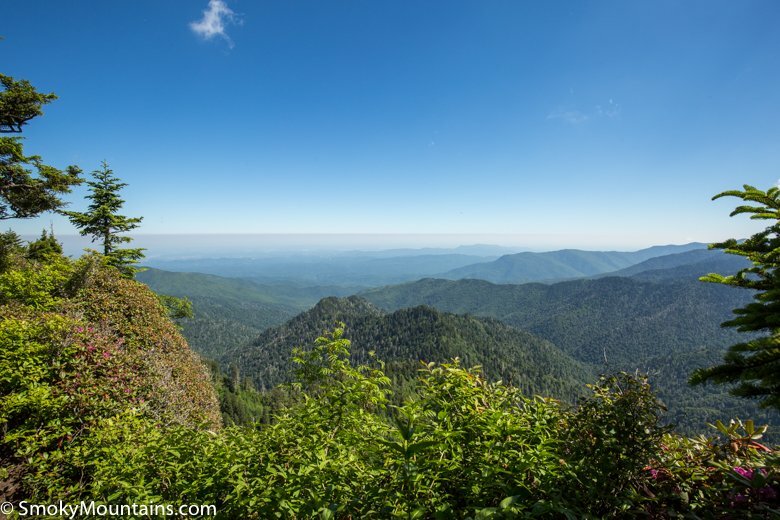 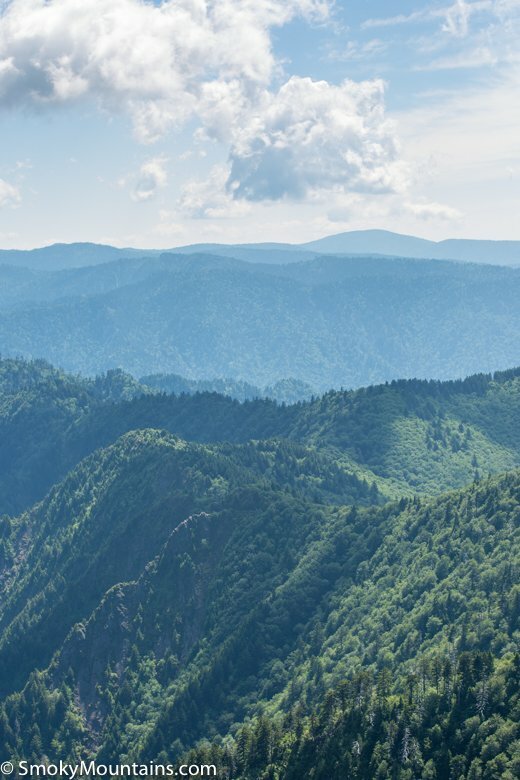 Look west from Charlies Bunion and you’ll be treated to a spectacular view of your previous picnic spot, the Jump Off, as well as Mount Guyot to the east and Mount Kephart to the west. 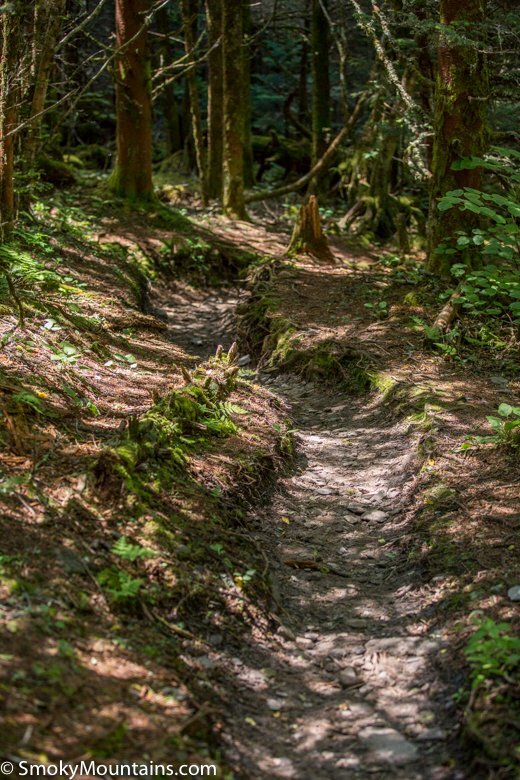 Use caution as the drop off is extremely steep. 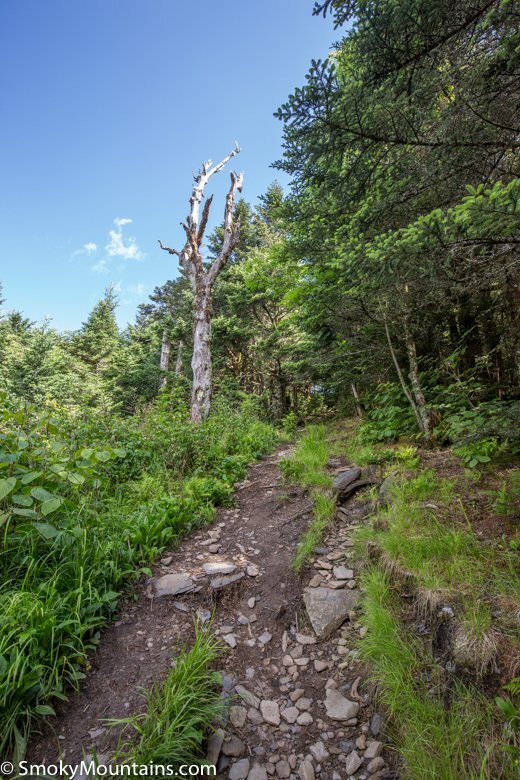 Retrace your steps back to the trail junction and continue straight to the Newfound Gap parking area. 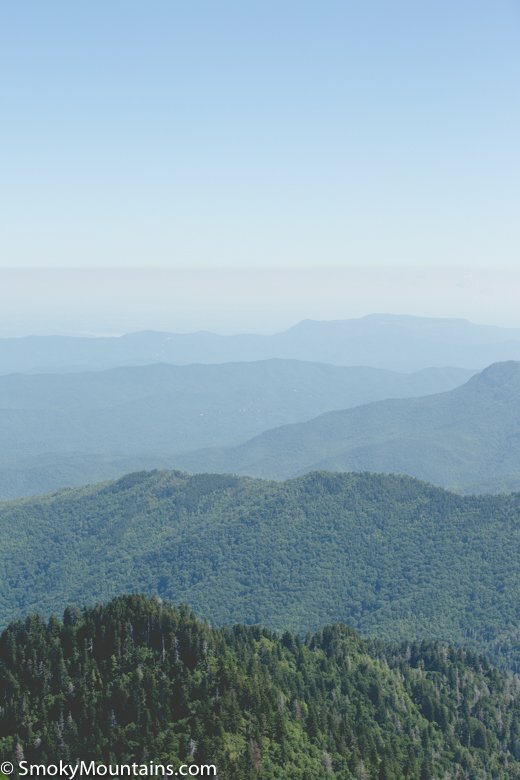 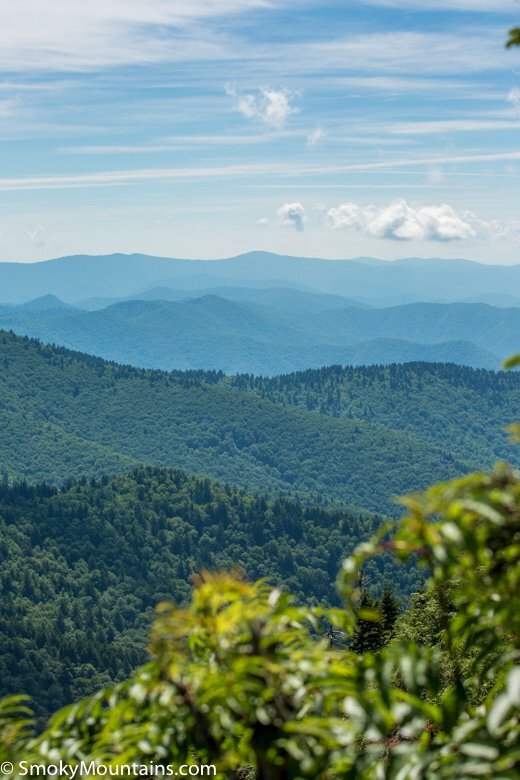 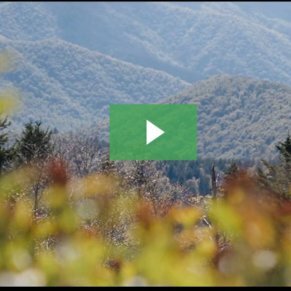 From the Tennessee side, begin your drive at the Sugarlands Visitor Center near Gatlinburg and drive 13 miles south along Newfound Gap Road to reach the Newfound Gap Parking lot. 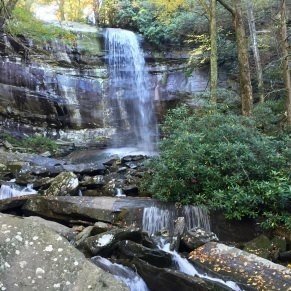 From the North Carolina side, head 20.2 miles from Cherokee to reach the parking lot. 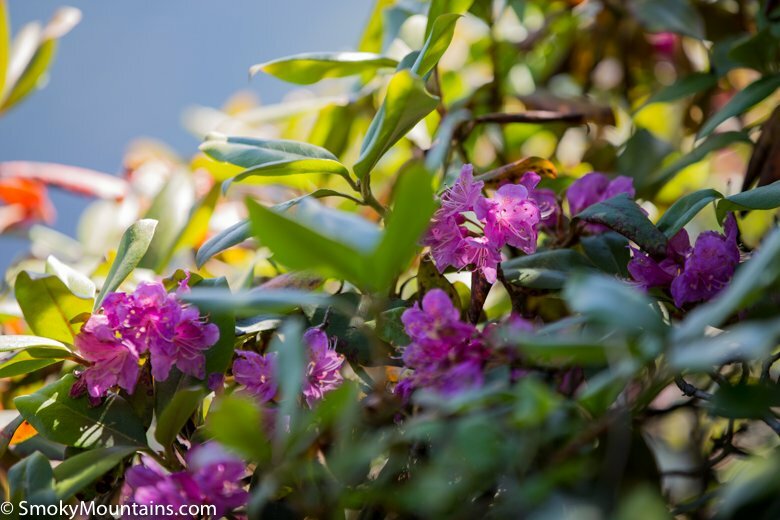 -Are you a wildflower enthusiast? 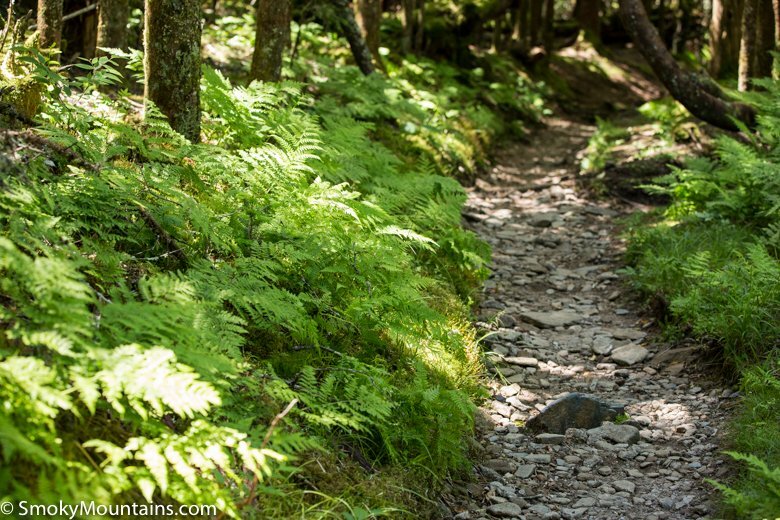 In spring and early summer, you’ll be rewarded with abundant wildflowers including trout lilies, violets, and spring beauty flowers. 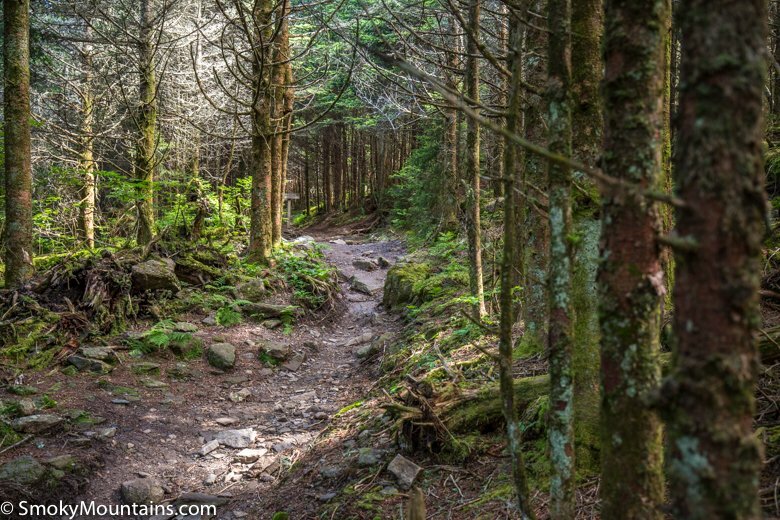 -The addition of Charlies Bunion on the return hike is well worth the extra time and mileage (2.5 additional miles).